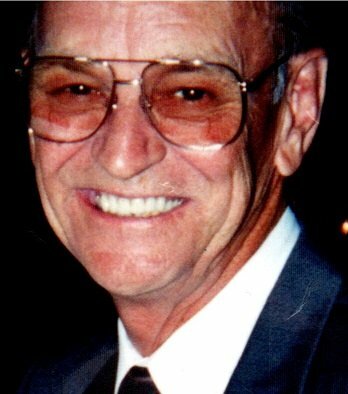 Robert Kugler passed away June 29, 2018 in Millard Fillmore Suburban Hospital. Born December 21, 1934 in Lockport he was the son of Joseph and Margaret (Coleman) Kugler. He served in the Air Force from 1952-1954 and worked for the City of Lockport where he was a fireman for 35 years retiring as Assistant Chief in 1993. Robert enjoyed golfing, working on the computer, avid football fan, and traveling. He was predeceased by his wife Mary (Quinnan) Kugler and his by son Timothy Kugler. Robert is survived by his children Cynthia (Sean) Hoffmann, Colleen Kugler, Jay Kugler, and Sean Kugler; grandchildren Karl Gibas, Kyle (Marianna) Gibas, Robert A. Kugler, Patrick Kugler, Kali Kugler, Erin Kugler, Brianna Kugler, Amy Kugler, and Tyler Kugler; great grandchildren Cameron Gibas, Lucia Gibas, and Jax Gibas. No prior visitation. Relatives and friends are invited to a memorial mass Monday, July 2 at 10 AM in St. John the Baptist R.C. Church, 168 Chestnut St., Lockport. Visit pruddenandkandt.com.